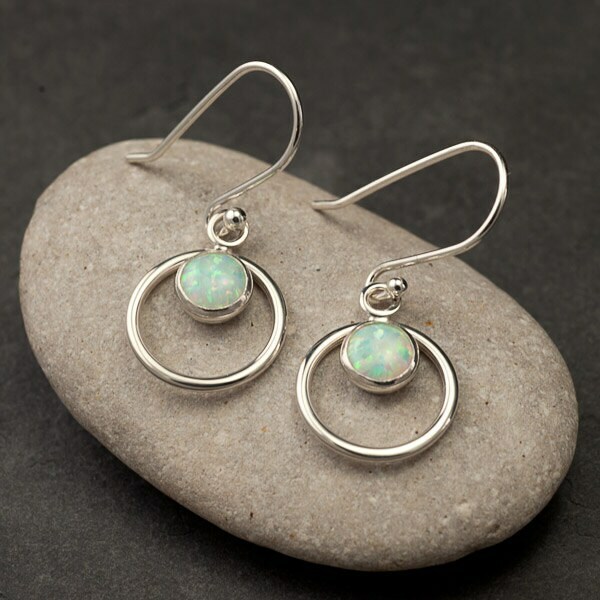 These simple & petite earrings were designed by combining two circular hoops. 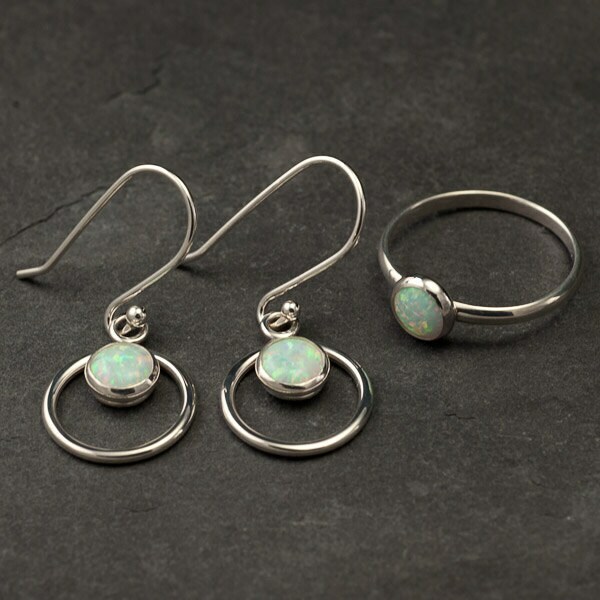 These small hoops are accentuated with 6mm lab opal gemstones (October birthstone). 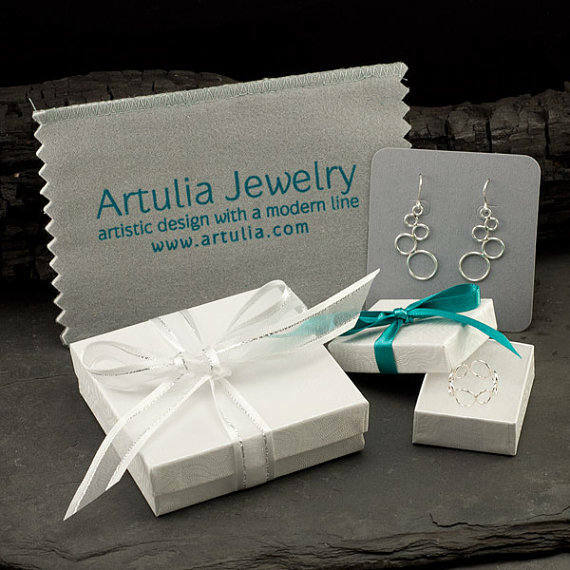 These argentium sterling silver earrings are lightweight & perfect for everyday wear. Sure to be your new favorite go-to pair! The earrings will arrive gift-wrapped. So very pleased with this purchase! I bought these fory granddaughter and she was so thrilled! Absolutely beautiful! I will be purchasing from this artist again! They were even better looking in person. 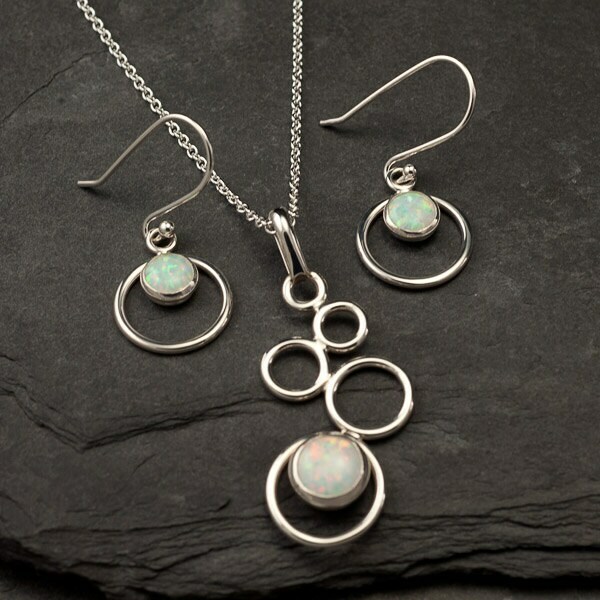 I was surprised at how brilliant the opals were and how clean and nice the design was. Not to small, not too large. My wife LOVES them. 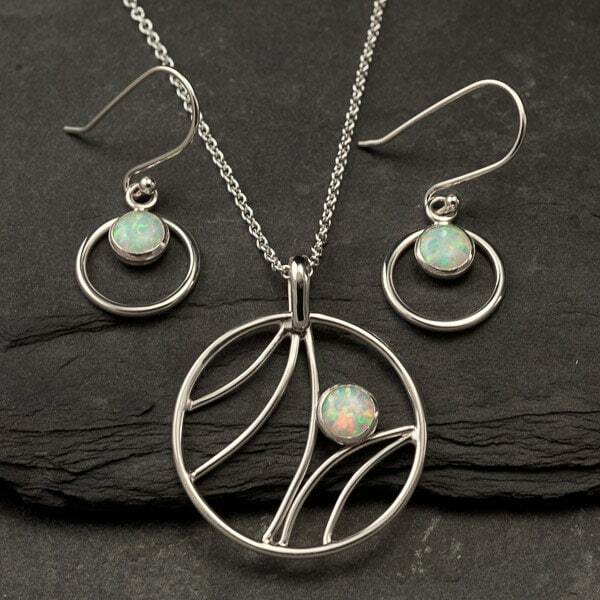 These earrings are absolutely beautiful. Made for a perfect gift!